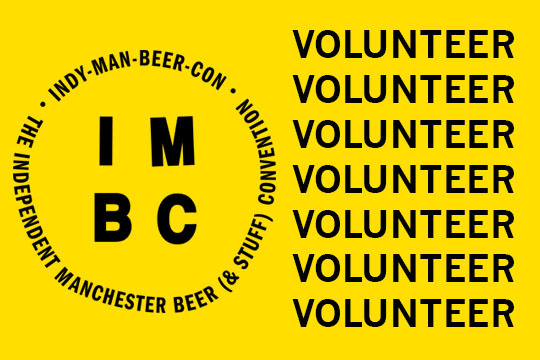 We are now looking for our amazing volunteer team to help deliver IMBC this year. There’s only one way to get free beer…..get involved! From beer pourers to event support, a whole range of volunteer roles are available. You’ll work in the friendly, dynamic environment of IMBC and be valued as a core part of our event. Volunteer for at least 1x session. Bring a positive, friendly attitude and be willing to muck in and help. Leave the drinking for your free session. We are also really interested in volunteers who would like to volunteer for more than one session. 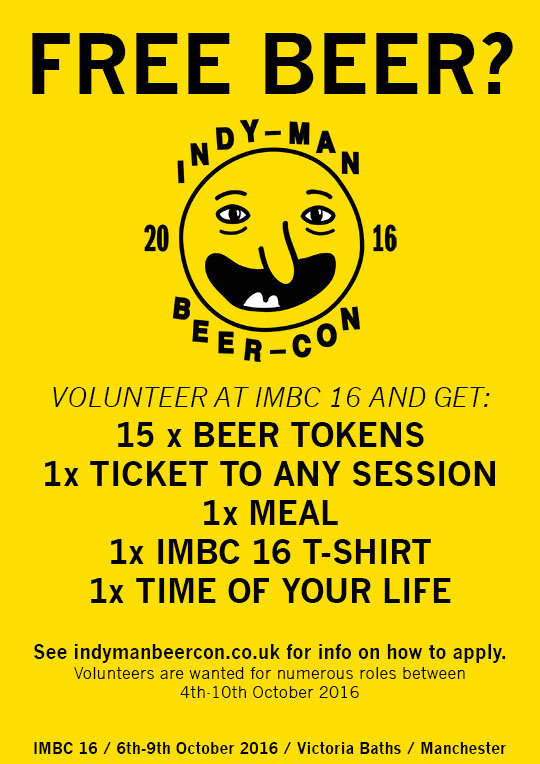 You will get a free session for each session that you volunteer, and a fistful more beer tokens. Please let us know if this is of interest. If you would like to apply, please download and read the volunteer-application-information then submit the Volunteer Application Form. Before you apply, please make sure you will be available to attend a volunteer briefing on the evening of either Sunday 25th September or Monday 26th September. If this is an issue, please make a note on your application form.